Man’s best friend deserves the home’s coolest cubby. 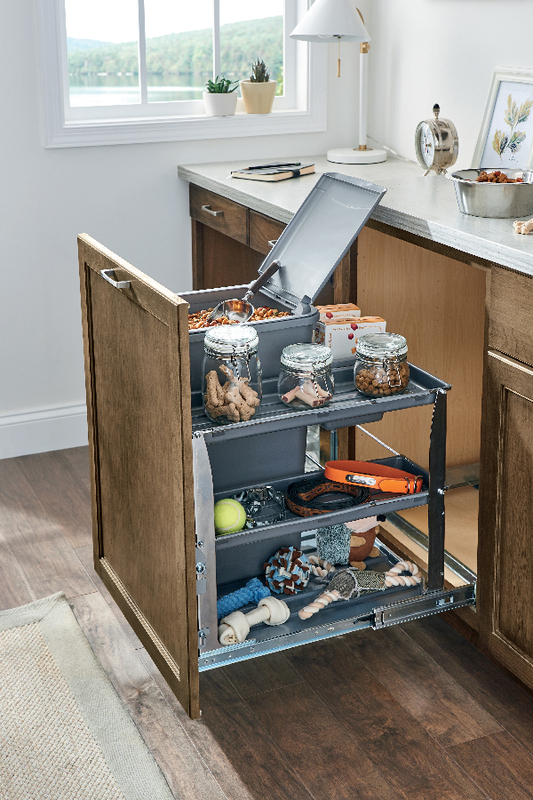 This convenient cabinet featuring a discreet food storage container comes in four pre-configured options and features three trays along with a small bin to secure additional pet supplies or household items. An optional, lined toekick drawer is great for feeding and keeping food dishes out of sight when not in use.